Opinions divided over how to bring down health costs | Lewis & Ellis Inc. It should come as no surprise that, given how health care costs have risen since the turn of the century, the issue now occupies a lot of how people view their financial situations overall. In fact, the cost of coverage, care and prescriptions have become a significant issue that is broadly seen as needing to be addressed on some level. However, disagreement often springs up as to what level that is. Some experts believe the power is in the hands of health care providers, drug companies and so on. Others say it's important for states to tackle the issue individually, while still more would prefer the federal government get more involved. But one thing is clear: The extent to which consumers now have to worry about health care costs is largely seen as untenable. The fact is that the cost of coverage, treatment and care is one of the biggest problems in health care almost regardless of what issue within that category is being discussed, according to a survey of industry newsletter subscribers conducted by health care expert Dr. Robert Pearl. For instance, the No. 1 health care issue cited by likely voters currently is prescription drug prices, with 58 percent saying that's something they consider. Another 57 percent are interested in the topic of single-payer coverage, half want to focus on Medicare funding, and 40 percent are concerned with Medicaid funding. "Because the majority of my newsletter readers operate in the field of healthcare, they're well informed about the industry's macroeconomics," Pearl wrote for Forbes. "They understand healthcare consumes 18 percent of the gross domestic product and that national healthcare spending now exceeds $3.4 trillion annually. The readers also know that Americans aren't getting what they pay for." Perhaps the biggest issue in most people's daily lives when it comes to health care costs is the fact that many of their employers - in an effort to keep premiums down - have continually opted for coverage options that carry higher deductibles, Pearl noted. As recently as 2008, only about 1 in 20 workers had an employer-sponsored health insurance plan with a high deductible. As of 2017, that number had risen to more than 1 in 5. At the same time, costs have continued to rise, to the point where costs now outpace average savings for American families. What can be done about rising health care costs? 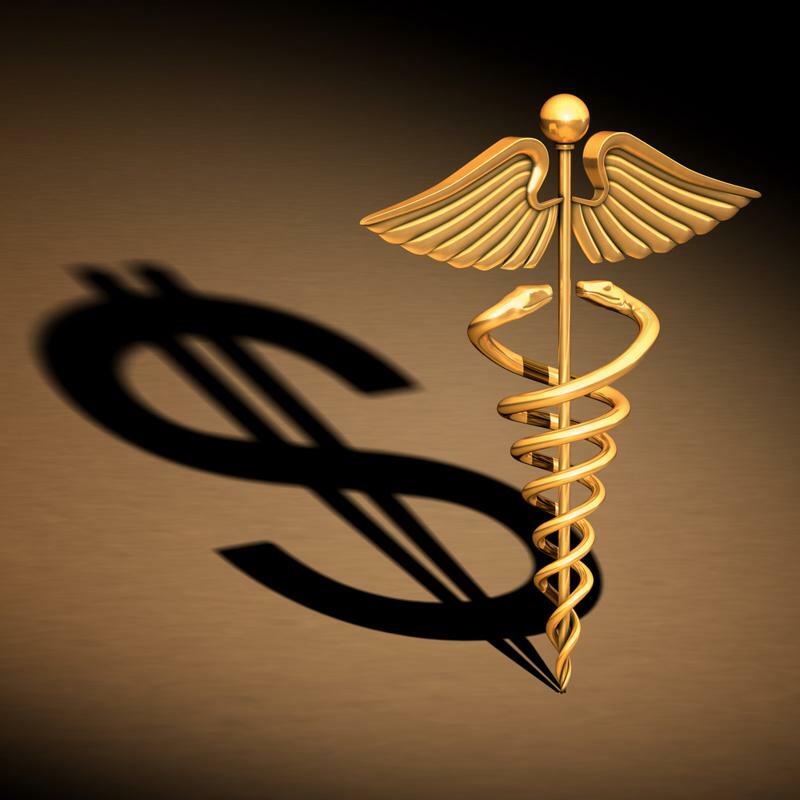 As noted above, some experts advocate taking a tack of directly addressing health care costs with the companies that set them, and some early returns suggest that this can be effective in getting a handle on spiraling expenditures, according to Bloomberg. When providers are paid differently than they were in the past, they may be more likely to simultaneously improve the quality of care and reduce costs extended to consumers. Specifically, a recent study found that when care providers are paid at least a portion of the payment for expected treatments up front, people are less likely to require more expensive treatments because providers have a vested interest in increasing patient churn, the report said. Specifically, this study examined longer-term stays for people on Medicaid versus those on private insurance. In general - and perhaps not surprisingly to those in the industry - bills for Medicaid patients usually come to about 20 percent less than they do for privately insured patients. Interestingly, while care providers discharge the lower-paying Medicaid patients more quickly, there is no tangible impact on their health outcomes; that is, they aren't more likely to die or be readmitted than other patients despite the fact that they're being discharged about 25 percent earlier - 24 weeks versus 32 weeks. That allows care providers to cut patient costs an average of more than $1,000 per stay. In recent years, the effort to tackle rising expenses for care and coverage has often fallen to states, and legislators across the country introduced more than 170 bills focused on bringing down the cost of prescription drugs alone, according to Health Affairs. Along those lines, more than half of all states have already adopted some laws that regulate drug benefits in some ways, and several more have laws that increase transparency around prescription pricing. This comes in addition to other, more disparate efforts to change rules regarding a number of other drivers of health costs, the report said. For instance, a number of states have tried to step up their efforts when it comes to health insurance rate hike regulation, global budgeting, expanding the availability of and funding for preventive and chronic care programs, and stamping out inefficiencies in their individual health care systems. But this also comes at a time when competition in the health care sector is falling, creating an inflationary effect on pricing, the report said. For instance, hospital networks are increasingly consolidating in just about every state, and in most of them have caused prices to rise by somewhere between 20 percent, despite the fact that the quality of care and efficiency doesn't seem to have been commensurately affected. To that end, experts generally concur that while there's no single solution to the issue of rising health care costs, states should be proactive about tackling even smaller aspects of the landscape sooner than later, the report said. Chipping away at some of the factors involved could help to bring cost increases down slowly but surely. While just about everyone involved acknowledges that higher costs are a problem, it's worth noting that the extent to which they keep ballooning should be a particular point of concern, according to Bloomberg. Today, health care prices are about 89 percent higher than they were at the turn of the century, compared with the 48 percent increase seen for all costs of living. The good news is that health insurance premiums as a portion of take-home pay is falling - albeit very slightly - since the passage of the Patient Protection and Affordable Care Act, from 8.4 percent in 2009 to just under 8.2 percent in 2016, but as recently as 1998, that number was less than 6.5 percent, but there has been no appreciable change in health outcomes, and people are actually using health care less often than before despite the higher costs. Perhaps not surprisingly, private insurance costs are increasing at far more than those for people on Medicare, to the point where the former is now almost double the latter, which is where the subject of the federal government's role in health care becomes a bit sticky, the report said. While the federal government - through the ACA - has increasingly participated in paying for individuals' health care (often through subsidies to help people afford individual coverage) it has not gotten as involved as it arguably could have in negotiating costs. While the idea of "Medicare for All" seems to be gaining favor among voters, often regardless of political affiliation, it would likely take a more hands-on approach to actually curb cost growth at the federal level. The fact is that markets are increasingly stable these days, Bloomberg noted, and that's true more or less across the country, but premiums remain high. With that in mind, the more leaders in government and the health care and insurance industries can do to tackle the issue in a clear and meaningful way for Americans, the better perceptions about health care and coverage as a whole will continue to become as time goes on.